Just around the corner from City Garden, halfway between The Avenue shopping mall on Second Road and Soi Buakhao, are two projects from the same developer – Centara Avenue Residence and Suites, plus Golden Tulip Hotel and Residence which are located directly opposite one another. 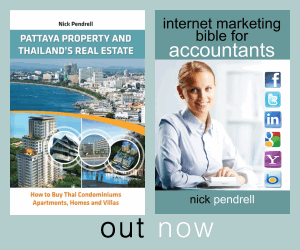 In addition to coming from the same developer, these projects have several other similarities – they will be managed by leading hotel chains; there are separate parts of the complex which will be run purely as a hotel; they are some of the largest developments currently on sale in Central Pattaya and they are also among the most luxurious. One of the major differences between the two projects though is that Centara Avenue sold out of all of its foreign ownership allocation over a year ago, whereas Golden Tulip still has plenty of availability left for both types of ownership as it was launched only in October 2012. Therefore it is Golden Tulip which is the better offer of the two for potential buyers in 2013. Golden Tulip covers one of the largest plots of any development currently on sale anywhere in Pattaya – larger than most of the Jomtien resorts. The development offers a similar amount of features to these resorts, including a vast waterpark style lagoon pool which covers the entire centre of the plot and all of the other facilities that can be expected at a resort of this size. Golden Tulip, one of the largest hotel brands in the world operating over 200 hotels across 40 countries, will manage the entire development. The hotel part of the complex is totally separate from the residential part, however, having its own pool and other facilities. As a result, the chain will only be handling upkeep of the residential units – they won’t be getting actively involved in rentals. This means that investors would still need to arrange a management agent of their own if they are looking to generate rental income. The residential part of the development consists of six different buildings containing a wide variety of different sizes of apartments. 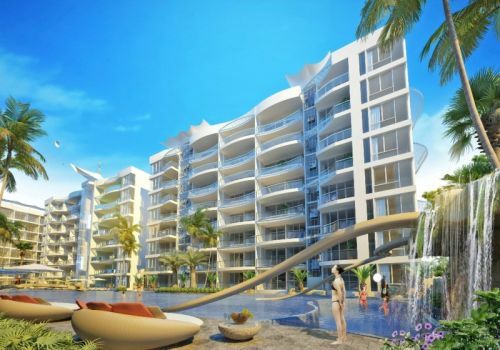 Starting prices on the development are fairly reasonable considering Golden Tulip’s highly convenient location, the size of the pools and amount of facilities which dwarf those on any other project in Central Pattaya, plus the true four-star standard of the resort which will be guaranteed by the hotel chain’s involvement in the project. The one-bedroom apartments starting at THB 2.6 million compare favourably with prices at the projects much further back from the sea that I will come on to, although the prices here do not include full furniture packs as is the case with the other options. The cheaper units on the development are all outwards facing, however. If you will only consider a pool-facing unit, then you need to be prepared to dig substantially deeper inside your pocket for one of the larger units at a higher price per m2. In summary, if you have all of your cash available now, City Garden is probably a better option as you can start seeing a return on your investment immediately. However, if you need time to pay for the full amount and are looking for a luxury property in a highly convenient and desirable location with a full array of resort-style amenities, Golden Tulip could very well be your best option. With Golden Tulip, I can understand you irritation that it is behind schedule. A delay of 6-12 months is not unusual for new developments that start selling before they have all of their permits in place. It is a downside to buying off-plan property before construction has started. The upside is that anyone who buys at this stage is well-rewarded for their patience. The developer’s previous projects, Centara Grand Residence and Waterfront were also delayed, but are now both going up nicely. Buyers at Waterfront have seen a capital increase of up to 50% now and so are being amply rewarded for their patience. So my advice here is to just to hold on and wait. In three years’ time, I think you will be glad that you did. I am sorry that you have had such bad luck in your choice of projects.